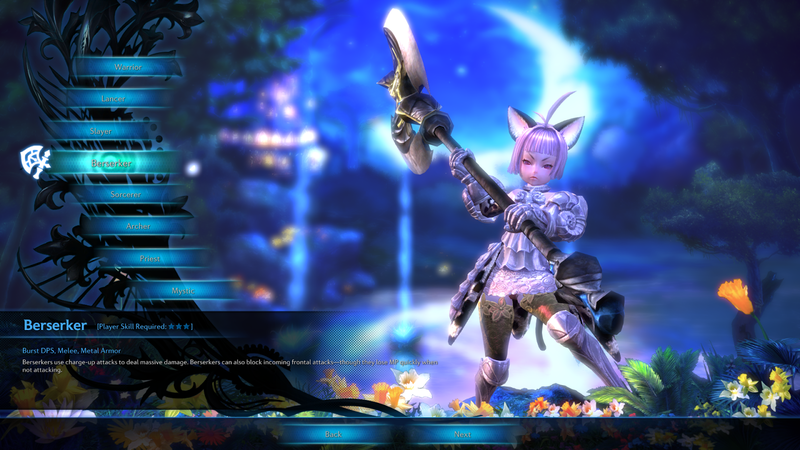 TERA is a new action based MMORPG (massively multiplayer online role-playing game) that will be launching May 1st, 2012 (April 28th, for all you per-orders out there). 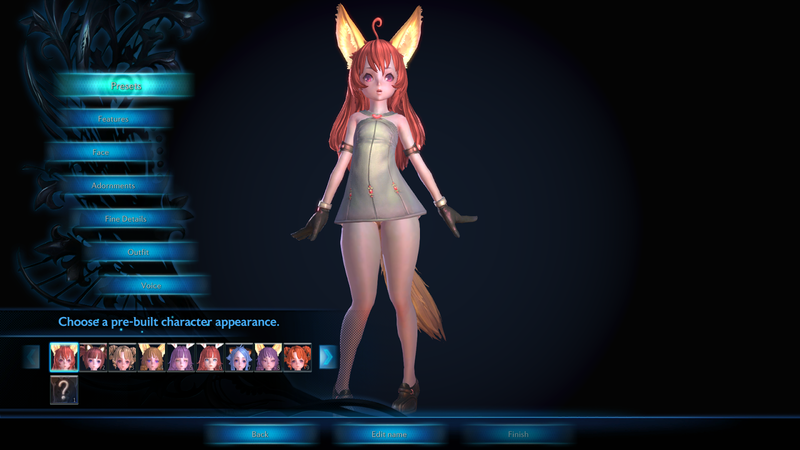 If you per-order the game, customers are able to reserve one character/name early which happened to be last weekend. 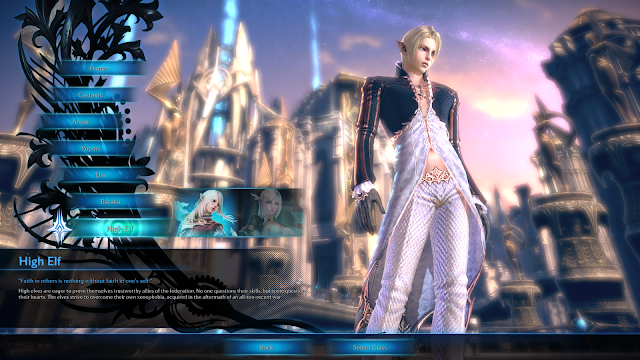 I have no experience with this game other than the character creation, so bare with me on my TERA journey. 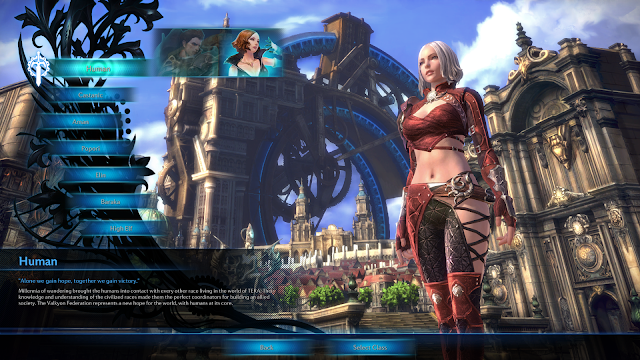 In this post today I will to going through the character creation process for TERA. and one server designated as "Role Play". Current status of the servers as of Sunday, April 15th at about 11PM EST. Your second choice is your race. Each race is unique and has different benefits, so choose carefully. Resilience of Body - Humans continuously heal HP after being resurrected. Indomitable Spirit - Humans take less PvP damage when under 30% HP. Dirty Fighting - Castanics have an increased critical hit chance on attacks from behind. Light Landing - Castanics take 50% less falling damage. No Stranger to Pain - When under 30% HP, all damage taken is reduced by 10%. Blood of Dragons - Resistance to DoT effects is increased by 10. Horizon Run - Once every 30 minutes, a popori can increase its non-combat speed by 20 for 3 minutes. Soothing Presence - Once an hour, a popori can reduce movement speed by 40% to move freely past aggressive monsters for 1 minute. Gather No Moss - Innate baraka determination increases their resistance to immobility by 10. Indefatigable - Baraka stamina does not fall below 20% while adventuring. 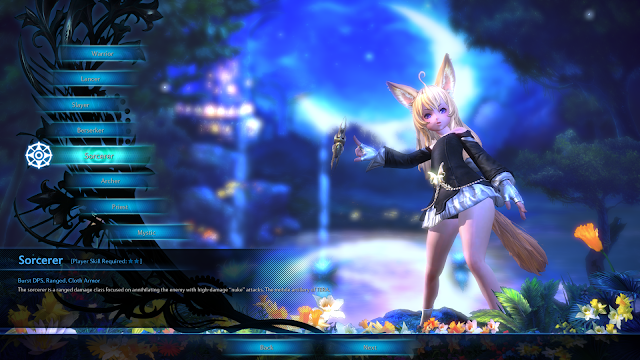 Friendly Current -An elin swims faster than other races. Certain dungeon and field maps have areas where swimming is the best way to get around. 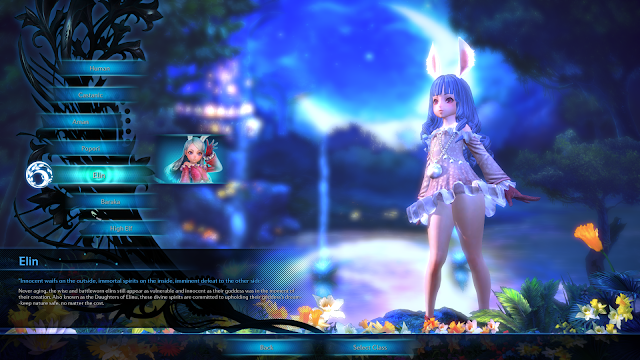 Botanist - An elin character gathers plants faster than other races. Core Infusion -Once every two hours, an elf can completely replenish their MP. Resilience of Mind -After resurrecting, an elf continually regenerates MP for a time. 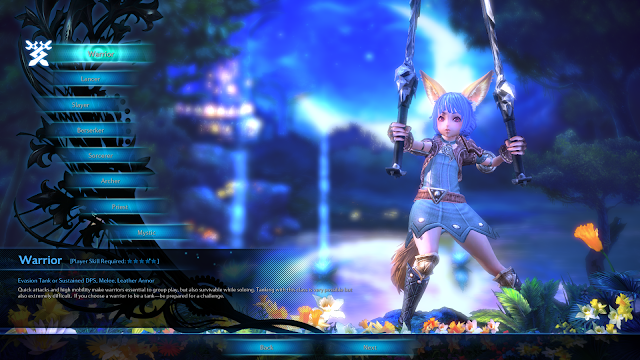 Quick attacks and high mobility make a warrior essential to group play, but also very survivable while soloing. Tanking with this class is difficult, but possible. 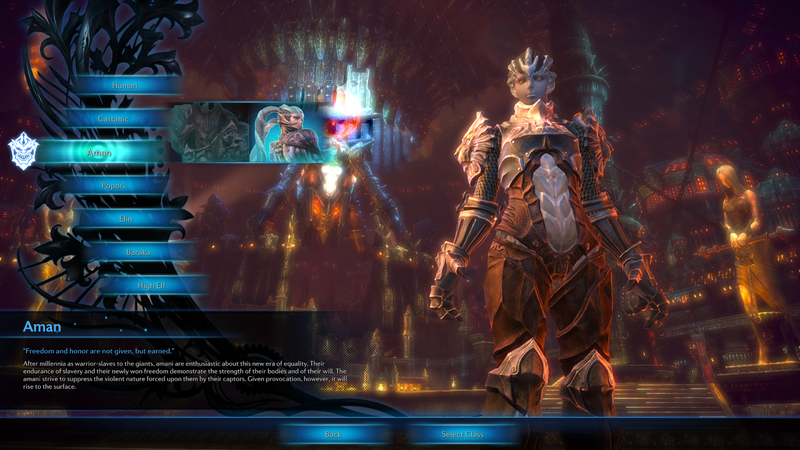 If you're choosing a warrior to be a tank, be prepared for a challenge. 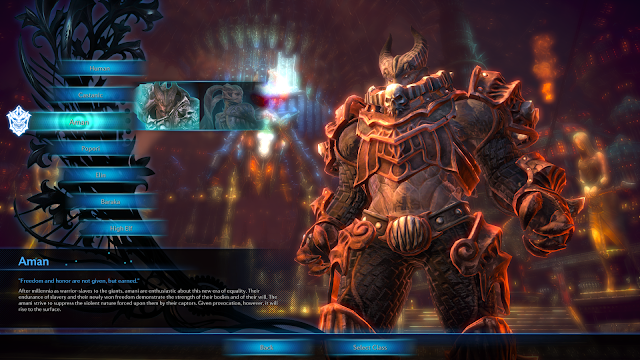 A lancer is a heavily armored fighter focused on anchoring a battle. Generates maximum threat with shouts and special attacks, sacrificing movement and attack power for the best durability in the game. Berserkers use charge-up attacks to deal massive damage. 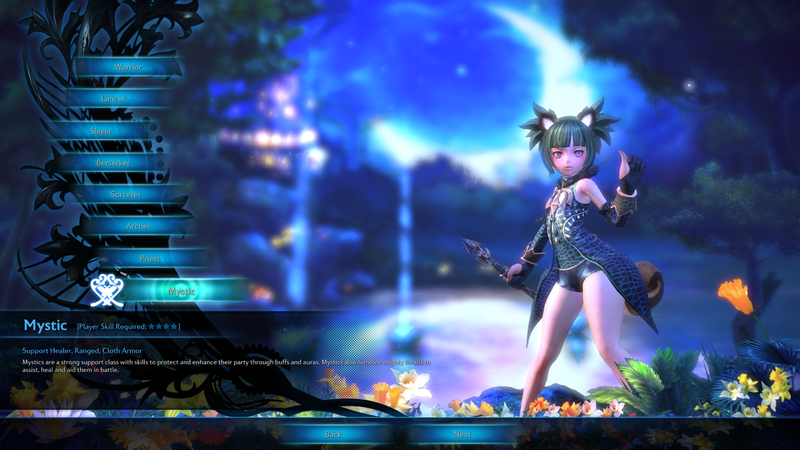 They can also block incoming frontal attacks, though they lose MP quickly when not attacking. The sorcerer is a ranged damage class focused on annihilating the enemy with high-damage "nuke" attacks. 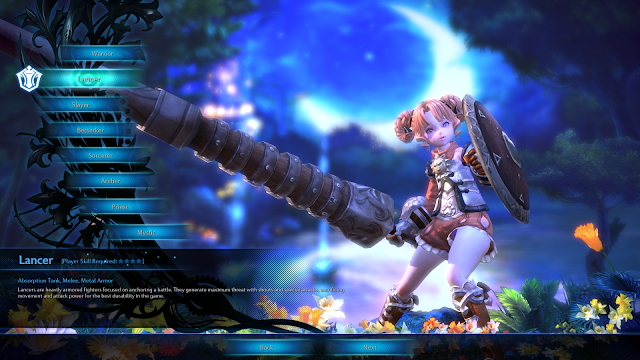 The mobile artillery of TERA. 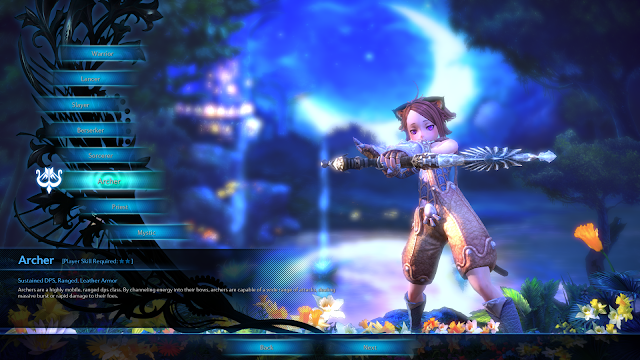 The archer is a highly mobile, ranged dps class. By channeling energy into the bow, the archer is capable of a wide range of attacks, dealing massive burst or rapid damage to foes. 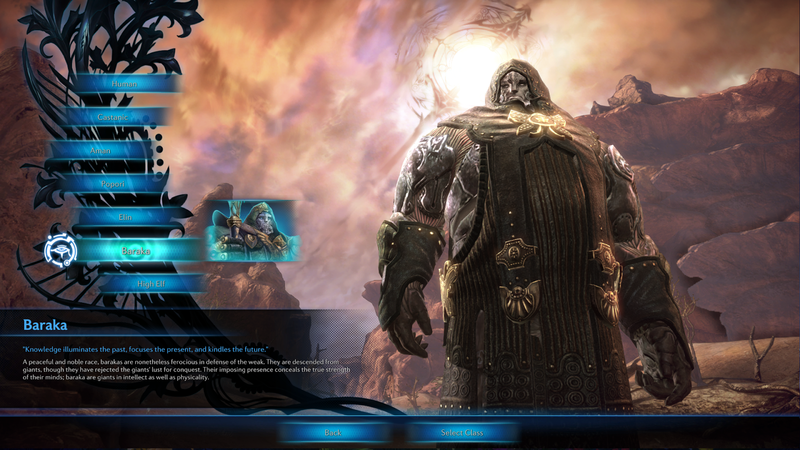 The priest is a robed magic user whose primary role is to restore health and vitality. However, a priest is not to be taken lightly—the same power that revives allies can also smite foes. Mystics are a strong support class with skills to protect and enhance their party through buffs and auras. They also summon mighty thralls to assist, heal, and aid them in battle. This is where the real fun begins. 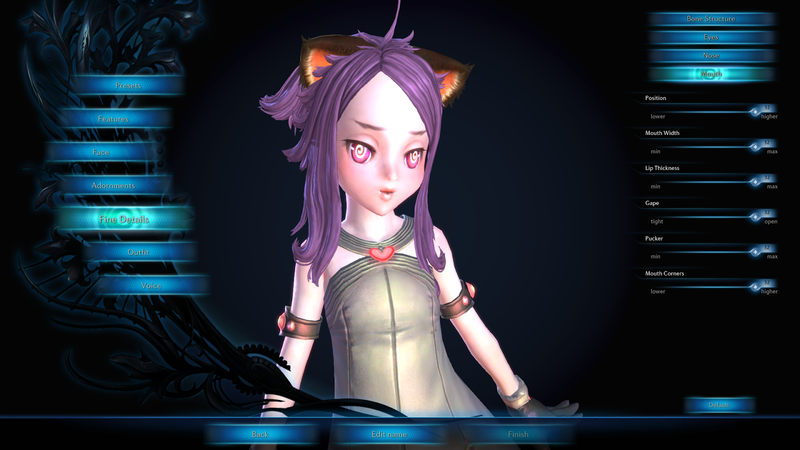 Creating and customize your personal character; I played with this for hours. 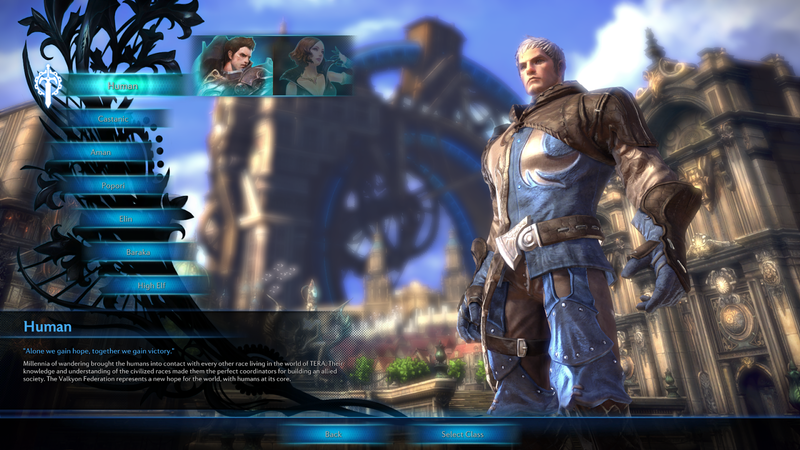 A set of characters already customized. Pretty much serves as a good base to start with when creating your character; or if you're really lazy you can just pick one and be done. This is where you choose your hair style and color. Self explanatory; this is where you choose your face and skin color. This is where you choose special marking on the face, eyes, make-up, etc. It different for every race. This is where the biggest portion of customizability comes from. The sliders on each menu allow you to control multiple points on your characters face including: bone structure, eyes, eyebrows, lips, mouth, nose, eyes, and cheeks. You have the option of 4 voices. Difference is the pitch; deep to high. Last but not least, picking your name! 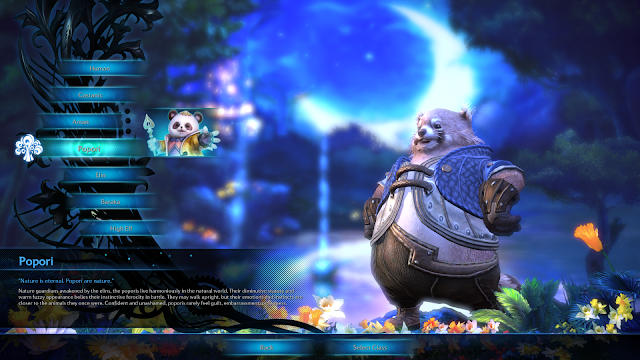 You can actually name your character at any time by clicking the "Edit Name" button on the bottom of the screen. The game will let you know if your name is or is not available on the server you choose. Once you've chosen hit "Finish" and you're DONE! Hurray! 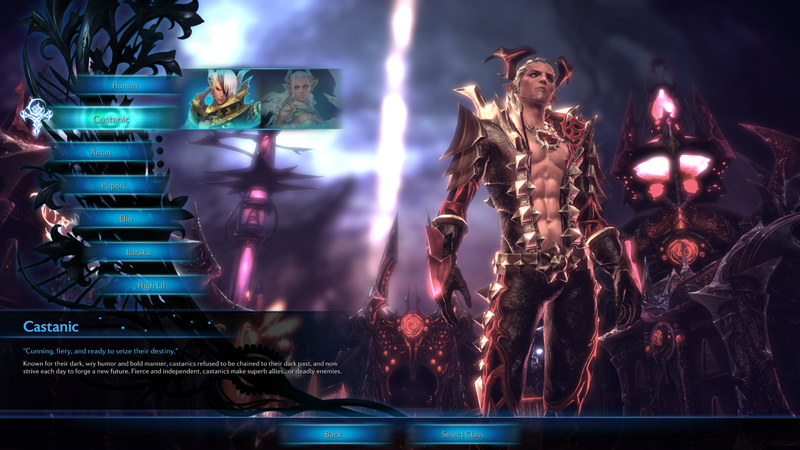 All information/facts about TERA were pulled from the official TERA website. I take no credit for the information about each race and class. (http://tera.enmasse.com/?lang=en) Any other information was written by myself.